Whitney Spencer, a graduate student studying critical ethnic studies at DePaul, is a recipient of the sixth annual Roger Ebert Fellowship at the Sundance Institute. Spencer and the two other 2019 fellows had the opportunity to critique films and write reviews for RogerEbert.com during the 2019 Sundance Film Festival. Created by Robert Redford in honor of the late film critic, Roger Ebert, the fellowship program brings together emerging film writers, critics and filmmakers for mentorship opportunities jointly through the Sundance Film Festival and RogerEbert.com​. 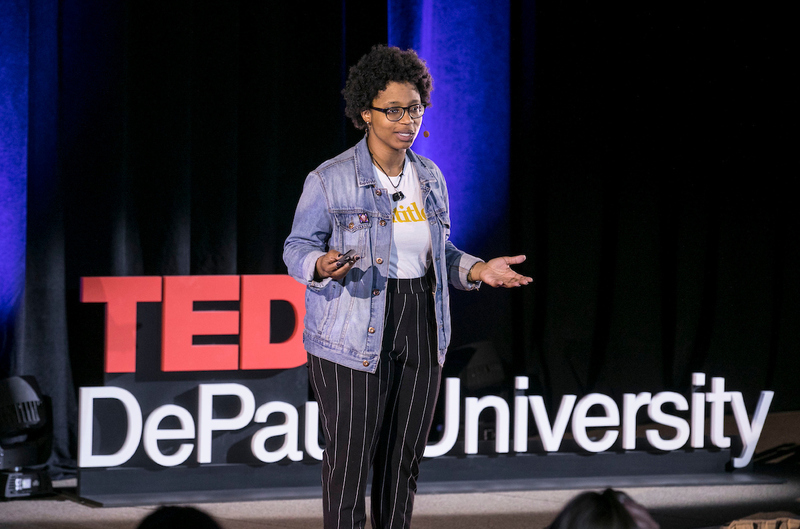 In addition to her studies in the critical ethnic studies program, Spencer also was a speaker in DePaul’s 2018 TEDx program. During her talk “Reimagining the Intellectual,” she challenged the ideas of how people earn the label “intellectual.” Watch her full TEDx talk below.